Notes: Apr. 1969←May 1969→Jul. 1969 Vol. 28, No. 4. 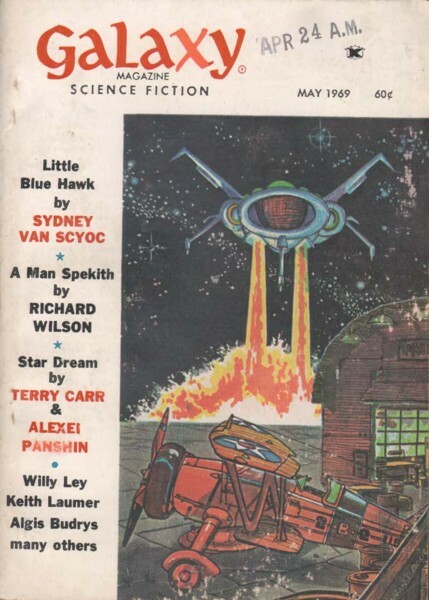 Cover illustrates "Star Dream". The editorial is signed by The Editor but credited to Pohl in the table of contents. _Coloured Element_ listed as _The Coloured Element_ on TOC.